While sometimes describing someone’s personality type can pigeonhole them and fit them into a tiny box- that really isn’t the best way to understand them. It is important to analyze each personality type, and each individual person on a much deeper level. In order to truly understand someone, we need to accept that there are different versions and layers to each personality type. While most ENFJs are outgoing people who absolutely love socializing, there is a version of the ENFJ which can lean more towards their introverted qualities. 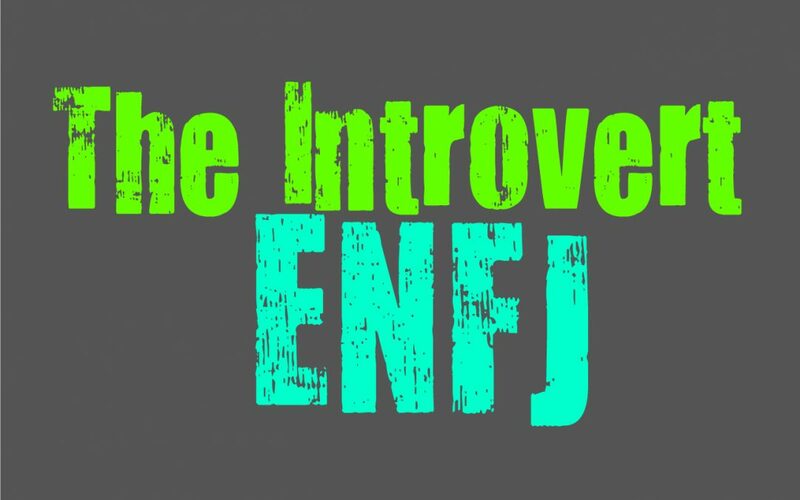 The introvert ENFJ tends to find themselves feeling much more ambiverted, and so they don’t always fit into the general idea of what an ENFJ should be. This can cause them to become mistyped sometimes and even viewed as introverts to some. The fact is ENFJs dominant function is what makes them an ENFJ, and that is their focus on the emotions of others. There are many layers underneath this, which can cause them to display some more introverted qualities. While their main focus is taking care of others, there is much more to them than just that. ENFJs also focus strongly on their introverted intuition, which can leave them feeling more caught up in their own rich inner worlds. ENFJs might be outgoing and extroverted people, but sometimes they can become drained by people. The fact that they are so in touch with the emotions of others, can be challenging sometimes. While they care about those around them, constantly feeling their emotions in an empathetic manner can actually be overwhelming. It can cause the ENFJ to be drained after a while, especially when they are spending time with people who are emotionally needy. While they want to be supportive, focusing so much on others can definitely leave them feeling drained. The Fe burnout is a very real thing for ENFJs, and so they can become drained by interaction. This is something that is much more like an introverted quality and can be surprising to some. It can make the ENFJ appear more like an introvert and even cause people to misunderstand them a bit. ENFJs definitely do their best to overcome these feelings, but after a while it can exhaust them. When the ENFJ is emotionally exhausted in this way, they can become distant from those around them. If they feel pushed to this point ENFJs will definitely lean more towards their introverted qualities. They will want to seclude themselves from others and focus on their own needs for a while, which isn’t a bad thing at all. ENFJs are actually very independent people, even though this doesn’t always show outwardly. While they enjoy being around others and want to do their best to help them, they still need to take care of things themselves. Sometimes ENFJs will go off on their own in order to get something done, since they don’t like having to rely on others for it. While ENFJs often seek to become someone that others can rely on, they can struggle to return this to others. ENFJs don’t want to be someone who is weak or needy, and so they strive to be rather independent people. This sense of independence definitely makes them appear introverted at times, especially when they are working hard and trying to get something done that they feel is important. ENFJs aren’t as simple as their basic description, since they have many layers to their personality. ENFJs don’t always expose themselves to others completely, instead they often keep parts of themselves hidden underneath layers. It can take a while for them to fully open, which can cause them to seem a bit internalized. These behaviors can be more introverted, since ENFJs have a hard time showing the more vulnerable sides of themselves. They possess many layers to who they are, and underneath it all they can certainly possess both extroverted and introverted qualities. While they are viewed as extroverts this comes from their connection to the emotions of others, and at the same time they often need time alone. The introvert ENFJ definitely finds themselves wanting to be alone often, they just don’t always get the chance to do this. ENFJs have rather rich inner worlds, which cause them to become rather caught up in them sometimes. They actually treasure the time spend alone, just wrapped up in their own thoughts. ENFJs don’t always get as much time to themselves as they might like, since they usually have so many people depending on them. The fact that they are so important to so many people, can make it challenging for them to get much time for themselves. When ENFJs do get the alone time they need, it is truly valuable and rewarding for them. Their inner worlds are magical and often they need to spend time diving into their thoughts and feelings in order to feel connected to themselves. ENFJs treasure this time they have to themselves, and actually are happy being on their own for a while. Sometimes it can be more relaxing being alone, since they don’t have to focus on taking care of others. While ENFJs do care about people and want to make them happy, this responsibility can actually be overwhelming sometimes. ENFJs can go through phases where they lose their desire to socialize completely and so they shut themselves off from the outside world. This happens when they are more focused on their introverted functions, and they feel more rewarded inside of their own headspace.